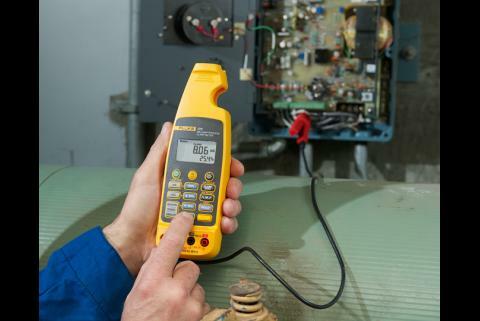 Test leads are more than a means to connect your digital multimeters (DMM) to the unit under test—they're an integral part of the complete system. 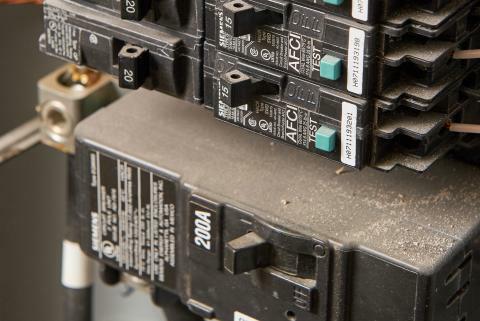 Poorly made, worn or under-rated test leads can cause inaccurate readings and may pose a serious shock or electrocution hazard if you touch live wires that the meter has read as being de-energized. The correct test probe for the application is important. If your work is limited to circuits below 30 V, performance and quality remain important but issues such as shock hazard concerns are reduced. However, if you use the leads for measuring high voltage and high energy circuits, such as distribution system voltages (240V- 600V), using leads that are in good condition with the proper markings and ratings is critical. Always taking precautionary steps to verify the condition and rating of the leads before testing is important to ensure safety on the job site. The materials used in construction are very important. Leads made from poor quality materials can affect the readings recorded on the DMM. For example, if dissimilar metals were used in the manufacture of the test leads, they can produce errors that are very difficult to trace if you are trying to measure very low voltage (e.g. in the mV range) or very low resistance, such as when working on low voltage electronic circuits. The contact between dissimilar metals can act like a thermocouple and generate its own voltage. 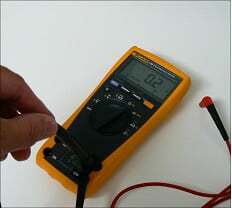 There are test leads designed to meet the requirements of virtually every application. Some may be a little more expensive, but safety and accuracy are not areas where cheaper is better. Before starting any job, confirm that the DMM and test leads are rated for the category and voltage level appropriate for the electrical environment they will be used in. Electrical measurement category ratings are defined by the safety standard, IEC61010, and are separated into four distinct category ratings, CAT I, CAT II, CAT III or CAT IV. Other requirements of IEC61010 to be familiar with include those relating to transient test, dielectric withstand voltage, clearance spacing, exposed metal probe tips, impact and markings. 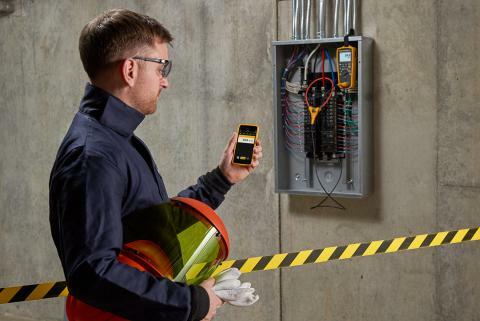 For further information go to the Fluke Electrical Measurement Safety Web page at www.fluke.com/safety. NFPA 70E also requires that the test tools used on the job be rated for the environment they will be used in. This applies to both the meter and the test leads/probes, and any PPE (Personal Protective Equipment) necessary for safe measurements. Before using test leads, perform an inspection to ensure the leads are safe to use and able to conduct electrical signals accurately. In most common circumstances, the physical condition of the test leads is the most important factor affecting your measurements. 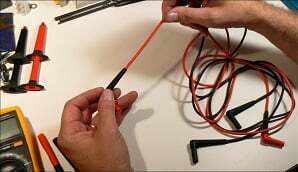 First, perform a visual inspection of the insulation, probe handles and connectors of the leads. Check to make sure the insulation is not nicked or cracked. With age the insulation material—whether PVC or silicone—can become dried out, brittle and susceptible to cracking. A visual inspection will often catch any parts of the leads that have this problem. Also ensure that there are no signs of gaps or cracks at the junction between the insulated wire and the molded banana plugs or probes at each end. Though the visual inspection cannot absolutely guarantee the leads are safe, it can reveal obvious faults that can lead to injury. Once you're satisfied that the test probes are properly rated with no visual damage, conduct a simple ohms measurement to confirm they are electrically reliable and able to carry a signal within allowable loss parameters. To "ohm-out" your leads, place your DMM in the resistance (ohms) function, plug the leads into the DMM and touch the probe tips together—red to black. 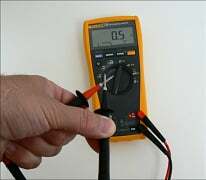 The meter should read about 0.5 ohms or less for good quality test leads. You may isolate a problem to one lead or the other by testing them separately. Simply connect one lead at a time between the ohms and common input. 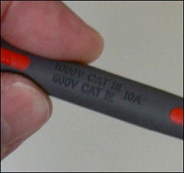 While connected, wiggle or shake the lead wires to check for intermittents that may not be obvious with a static check. You may also use a continuity test to check your leads, however, the continuity functions of some DMMs are very forgiving. You may get a beep indicating continuity with up-to-15 ohms resistance in your test leads. Finally, make sure the leads are plugged into the correct DMM jacks and that the meter is set to the correct function before making any measurements. No matter how good your DMM is, it's only as good as the test leads you use with it. 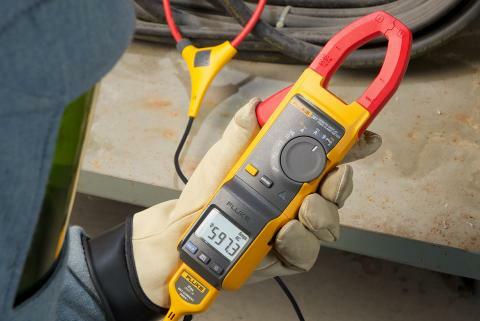 Taking a few minutes up front to confirm that the leads you're using match or exceed the IEC61010 category of the DMM, that the two together are appropriately rated for the job, that all parts appear in good condition, and that they are electrically reliable means you can take accurate—and safe—measurements. If at any point in your inspection you notice a problem, you're probably due for a new set of leads. 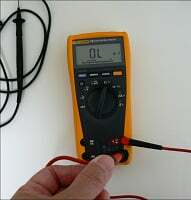 Test leads are an integral part of electrical measurement. Testing your leads is a good way to make sure they're a strong part of your DMM system, not the weakest link. If your test leads are subjected to rough or heavy use on a regular basis you may want to consider implementing an annual replacement program for your test leads to ensure that they are always in good condition.